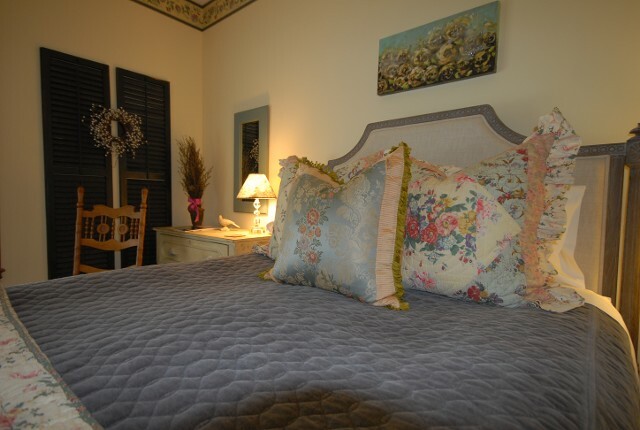 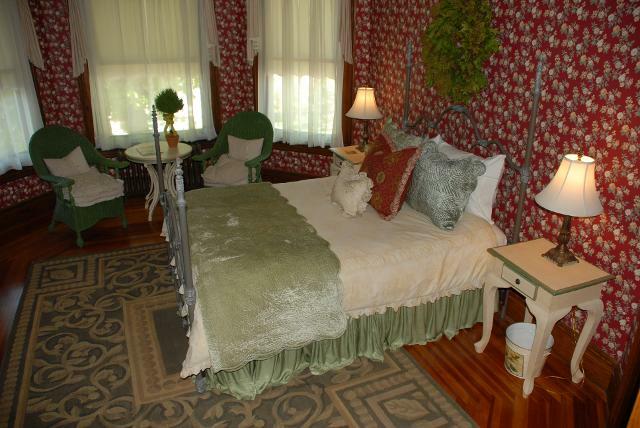 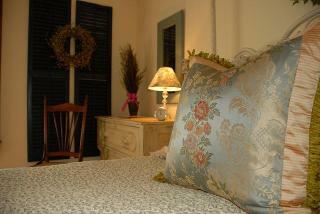 The Garden Room features a queen size four poster bed. 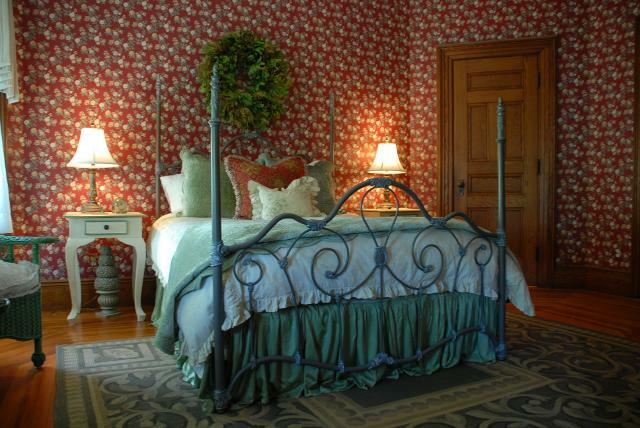 A combination of period antiques and French Country style pieces, give this room a whimsical garden feeling. 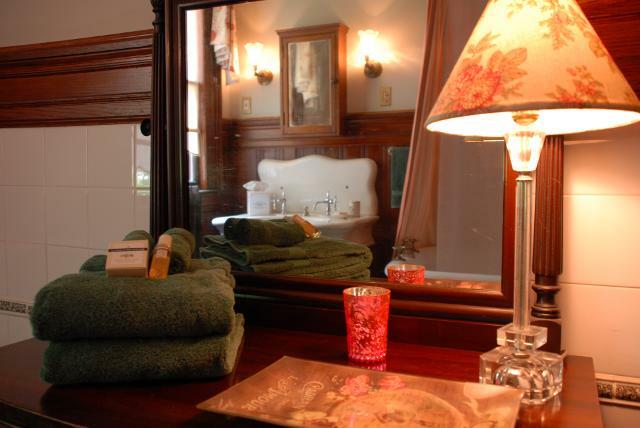 The bath has an art deco pedestal sink and claw foot tub. 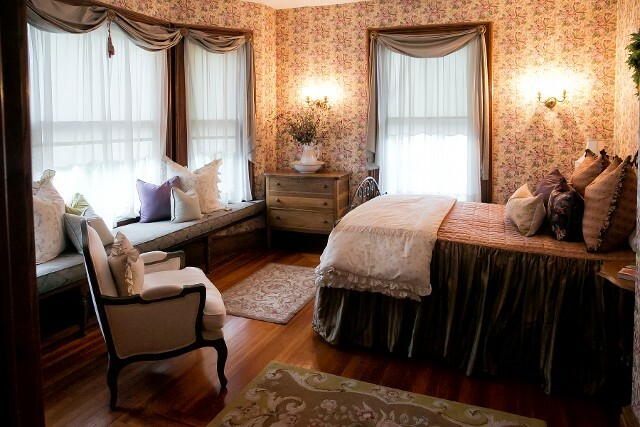 The Sage Room has shades of sage and coral that beautifully accent deep walnut antiques. 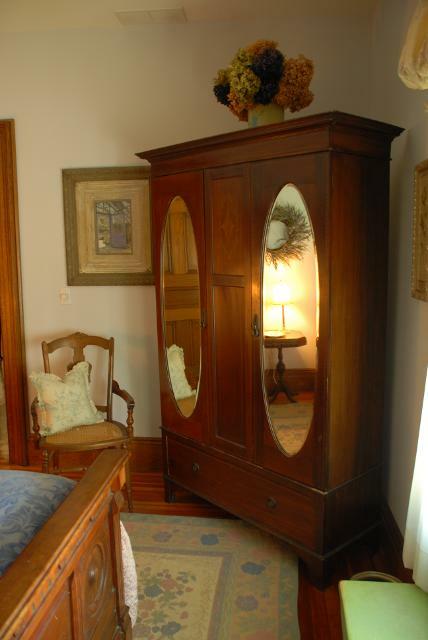 A matching chair and mirror, both family heirlooms from the family owned Finn's Hotel of the 1930's, complete the Victorian Decor. 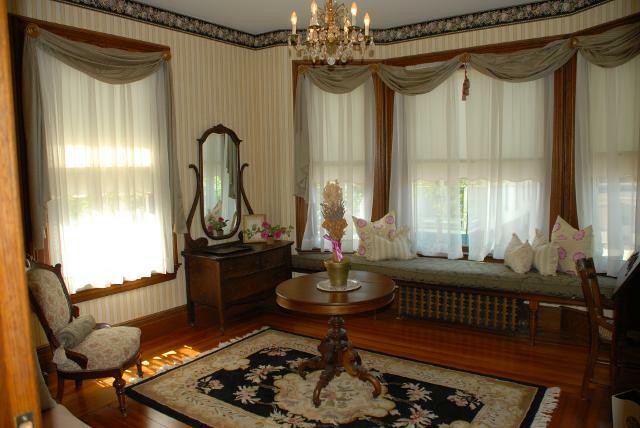 The bath features a Belle Epoque sink and oversized claw foot tub. 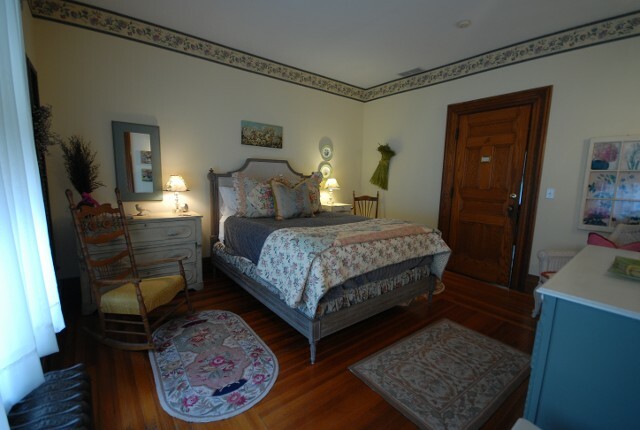 The Cottage Room offers an English cottage feel complemented by turn of the century cherry and walnut antiques. 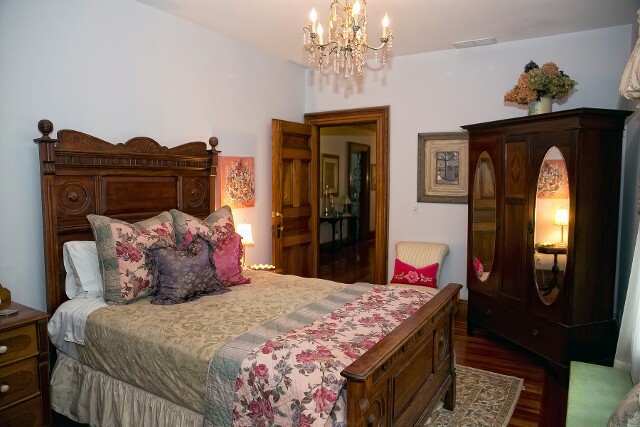 A Queen size Eastlake cherry bed adds to the room's decorative charm. 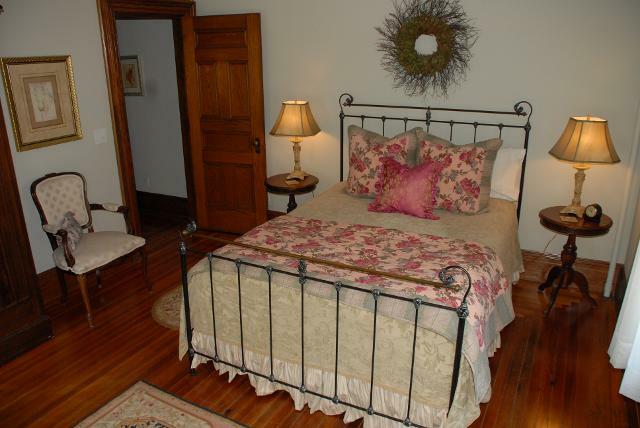 The bathroom utilizes the original Victorian water closets which feature a separate shower room.